Fashion designer Kate Spade -- who started her namesake company in 1993 and grew it into a massive empire including clothes, jewelry, perfume and furniture -- was found dead in her New York City apartment Tuesday morning after apparently taking her own life, police sources said. The 55-year-old's body was found around 10 a.m. at her Park Avenue apartment on the Upper East Side of Manhattan by a housekeeper, the sources said. She apparently hanged herself on her bedroom doorknob using a scarf. A suicide note was left at the scene, but police officials declined to disclose its contents. "The contents of that note, as well as the physical state of the apartment and the comments of the witness, lend to the credibility that it is an apparent suicide," said Dermot Shea, chief of detectives for the New York City Police Department. Kate Spade arrives at The Basser Center for BRCA Inaugural Benefit Dinner with Rag & Bone, New York, Nov. 10, 2015. Spade's former company issued a statement saying her death was "incredibly sad news." "Although Kate has not been affiliated with the brand for more than a decade, she and her husband and creative partner, Andy, were the founders of our beloved brand," the company's statement reads. "Kate will be dearly missed. Our thoughts are with Andy and the entire Spade family at this time." Spade and her husband, the brother of actor and comedian David Spade, have a 13-year-old daughter. 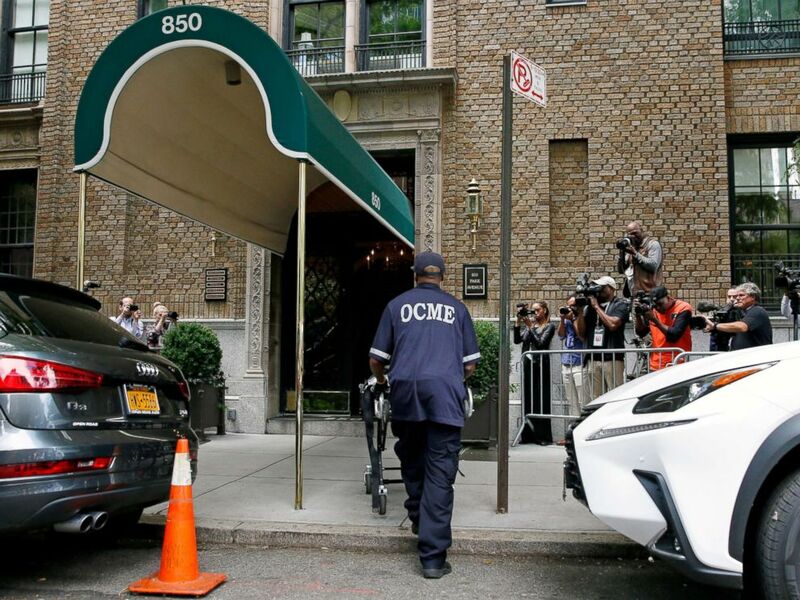 A medical examiner arrives at the front entrance to the Park Avenue apartment of designer Kate Spade in New York, June 5, 2018. Born Katherine Noel Brosnahan in Kansas City, Missouri, Spade graduated from Arizona State University in 1985 with a degree in journalism. She got her start in fashion working for Mademoiselle magazine in the fashion accessories department. By the time she left Mademoiselle in 1991, she had risen on the magazine's masthead to senior fashion editor and head of accessories. While working at Mademoiselle, she noticed there was a need for stylish handbags, but it was her husband who convinced her to set out to fill the void. "At the time, bags were too complicated, and I really loved very simple kind of architectural shapes," Spade said last year on the NPR show "How I Built This with Guy Raz." "I would wear these very simple shapes, none of which were famous designers. I mean, they were no-names," she said. "If someone were to say, 'Whose is that?' I'd say, 'I don't know. I bought it at a vintage store or it's a straw bag I got in Mexico.' And they were all very square and simple and I thought, 'Gosh, why can't we find something just clean and simple and modern.'" 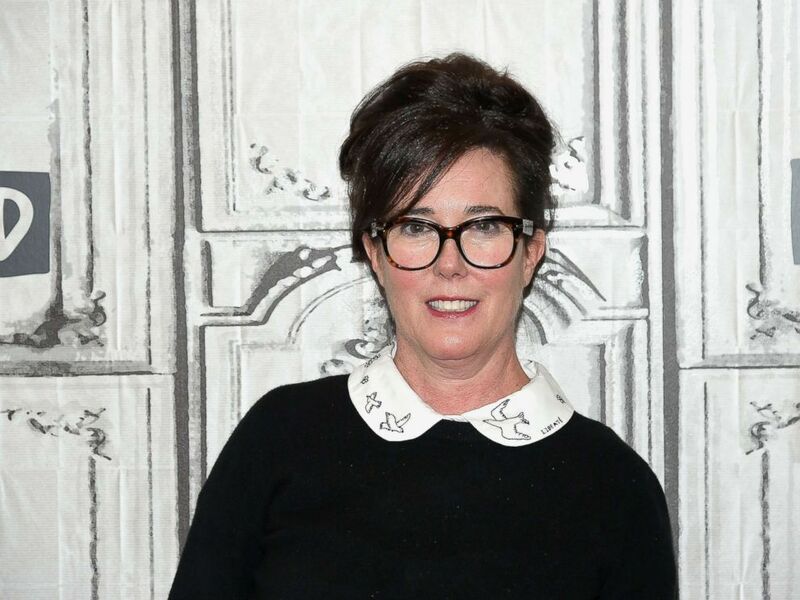 In January 1993, she and Andy Spade, an advertising executive she married in 1994, launched their company out of their apartment in New York City and called it, simply, "Kate Spade Handbags." "I was not Kate Spade. I was Kate Brosnahan, and I kept coming up with these names, and Andy kept saying 'Kate Spade' because we were 50-50 partners," she told NPR. They went from initially making burlap bags with raffia fringe and webbing handles to manufacturing colorful leather rectangular handbags that fashion editors and fashionistas loved. By 1998, the company's annual revenue reached $27 million. A year later, the Neiman Marcus Group purchased 56 percent of Kate Spade New York for about $30 million. Designer Kate Spade attends an event on April 28, 2017 in New York City. "She has a brand loyalty like none I have ever seen," Hitha Herzog, chief research officer of H Squared Research, told ABC News. "There are women who started carrying her tote bag in 1997 and are still wearing her stuff now. It's one of those brands that has generational loyalty. Despite Kate, sadly, not being alive anymore, her brand name and brand loyalty will continue." Herzog, who covers Tapestry, the company that acquired the Kate Spade fashion house, credited the designer with being a role model for a younger generation. "As others came through the ranks they looked to her to see how she was able to navigate the world of retail," Herzog said. "What she created will always be a foundation in the industry. This is a brand that women between the ages of 20 to 34 have gravitated toward, starting from 1993 to now, when you see everyone from news anchors to celebrities wearing her products on the red carpet." Spade and her husband sold their remaining stake in the company in 2006 to Neiman Marcus for nearly $60 million. Neiman then turned around and sold the Kate Spade brand for $124 million to Liz Claiborne. Kate Spade's death comes about a year after the brand she and her husband created was sold yet again. This time Tapestry, the company formerly known as Coach, paid $2.4 billion for it. Spade's death left a legion of celebrities and fans of her designs heartbroken. "My grandmother gave me my first Kate Spade bag when I was in college. I still have it. Holding Kate's family, friends and loved ones in my heart," former first daughter Chelsea Clinton wrote on Twitter. Fashion designer Kenneth Cole also expressed his condolences on Twitter, using Spade's famous motto, "I believed that I could, so I did." "She alone didn't change the handbag world, but she was an inspiring accessory," Cole tweeted. In late 2016, Spade and her husband launched another shoe-and-handbag company called Frances Valentine. In the NPR interview, she said she was "a little more confident" about starting a new business the second time around but still felt the pressure to deliver a great product. "We're self-financing again, so I'm not crazy about losing any money. This thing better work," she said in the interview. She said she never had any regrets about selling Kate Spade New York and shared a humorous story about going into a Kate Spade store to purchase her daughter a gift. "We went to the cash register and [the sales clerk] said, 'Are you on our mailing list? And I said, 'I don't think so.' I used my maiden name ..." Spade recalled. "And then my daughter kept nudging me. She was dying for me to say something, and I didn't. Then I remember thinking, you know, 'No, I'm not on your mailing list, but I think I helped create it.'"